Since the calendar flipped to 2019, Wayne Coyne of The Flaming Lips has played a show in a cave celebrating the new year, married his girlfriend inside a plastic bubble, of course, celebrated his 58th birthday and officially announced that he’ll become a father in May. In other words, his year has started off like a confetti cannon that the band has made a staple of their live shows over the last several decades together as The Flaming Lips. And the group is also celebrating its own milestone this year as their heralded album The Soft Bulletin — one of only a handful of albums to ever receive a perfect score of 10.0 from Pitchfork — turns 20 years old. 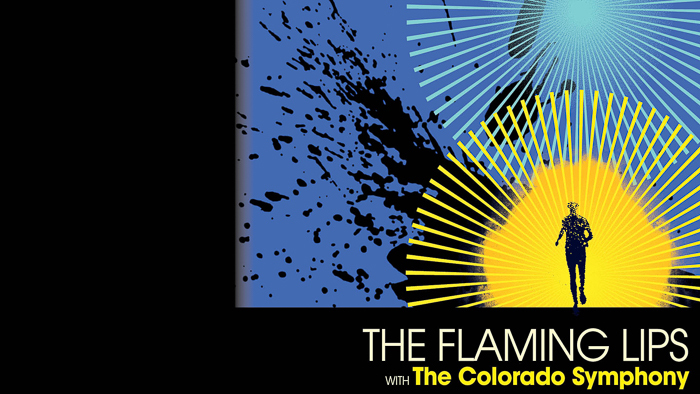 Coyne and his fellow FLips will honor the benchmark by returning to Colorado this month to perform the album in its entirety with The Colorado Symphony once again. In 2016, the group and the symphony teamed up to perform the album at the famed Red Rocks Amphitheatre, which they will release as a live album later this year. The Flaming Lips’ astounding, three-decade-long career, and the endurance of The Soft Bulletin, in particular, isn’t much of a surprise to anyone who has sat down and digested the record and it’s cosmically deep essence. With such a profound, sincere message, it’s no wonder that the album connected with audiences on such a visceral, human level. In addition to earning the Pitchfork equivalence of the Nobel Prize, countless best-of lists (both the year and the decade), and being called the Pet Sounds of the 1990s, the album has gone on to be a crucial part of the band’s sensory overload, communal freak-out, live repertoire. It’s a feeling that 20 years after Coyne lost his father to cancer and released the album, people still continue to share their stories of loss with him and how The Soft Bulletin played a role throughout the experience. Shortly after The Flaming Lips and The Colorado Symphony reunite for this performance, the group’s rocketship start to 2019 will gain even more momentum when on Record Store Day (Saturday, April 13) they will release their 15th studio album King’s Mouth. News of the album, and its special guest broke in early December, but until now, Coyne hadn’t been able to discuss the details as to how it all came about. Through a friend, Coyne reached out to Mick Jones and was astounded at the response. “I reached out and figured if not, I’ll move on. I’ll try someone else, but I have to try to reach out and ask him. I kept thinking we’re going to keep working on this, ‘let’s hope he says yes,’ ‘let’s hope he says yes.’ And out of the blue I got this digital download of Mick doing the whole thing. He just did it all. I get this download and it’s all there. He did the whole thing even before we had all the songs finished. So luckily, I was even working with Mick Jones’ speaking and sometimes making songs around that,” Coyne explained.